Building & Operationalizing a Mentoring System to help manage attrition & employee engagement. 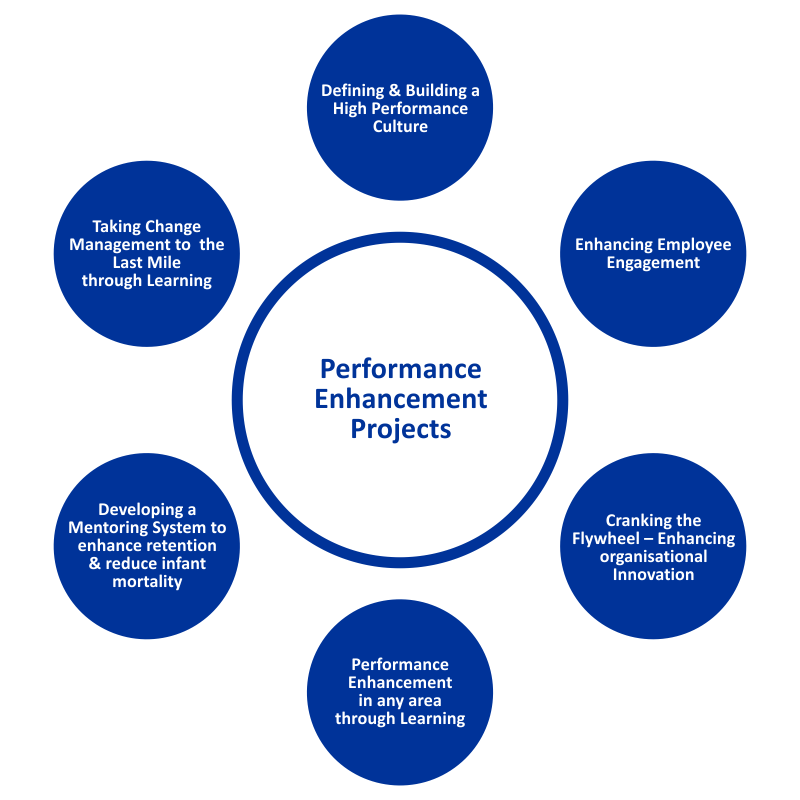 Aligning Organizations to High Performance Culture – Measurement of Current Culture, Analysis of Data in comparison with High Performance Culture Benchmarks and Recommendations for Interventions required. Manage Performance Problems or Enable Achievement of Specific Business Objectives – Sales Conversion, Quality, Productivity, Attrition, etc – through Design & Delivery of Multi Stimuli Model Learning Interventions and creating measurable effectiveness. Enhancing Employee Engagement – Measurement of Employee Engagement, Analysis of Data and Recommendations for Interventions required. Cranking the Flywheel! – Creating a culture of Innovation through a series of events, activities & learning programs.